There is nothing natural about weaves. To be from Africa is to be human – human in its natural state. Africans have great pride in being natural and are very in tune and in touch with their natural surroundings. They proudly show off the natural shapes of their women in the most tribal African villages and communities. That has to do with pride. Due to slavery, Africans who prisoners of war in diaspora regions have grown quite accustomed to the habits and views of Eurocentric people. One particular view that is a foggy area is beauty. White people are born with certain features and traits that most Africans are not born with. Among these differences if hair. 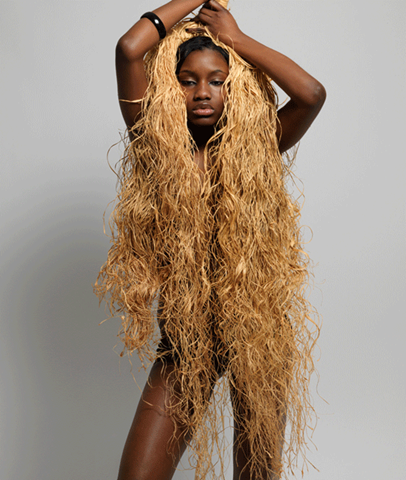 A human’s hair is often a visually defining factor of a person’s race, ethnicity or cultural background. Obviously, white people would be attracted to hair common among white people and people of African descent would be attracted to hair that is more common among their people. It is because the beauty that they try to emulate is nonexistent. Black men notice that Black women wear weaves to emulate white women. They have grown up witnessing the behavior patterns in their own families. The women these men see wearing weaves are their sisters, aunts, mothers and even grandmothers. All in an attempt to look like something that they are not. The irony is that although Black women have begun wearing weaves to look more beautiful and become more accepted, the reverse has happened in the eyes of most Black men. This behavior is seen as “selling out” and it also creates a notion that Black women are admitting that they possess inferior beauty. These women have basically said, that their natural hair is not beautiful enough, so therefore they support wearing hair that is nothing like hair that these women can grow. An imbalance in perception has been created. These Black men have now witnessed these women imitate the look of other women, as in terms of admiration for their beauty. This move does not empower Black men or women. It actually expresses hypocrisy in Black culture. Black men have pleaded with Black women to wear their hair natural and stop wearing the weaves but Black women have defended the weave with every ounce of breath in them. Even though Black men desperately want Black women to accept the true beauty that Black men can appreciate and our attracted to on a genetic level, Black women refuse to embrace their natural beauty by the droves. 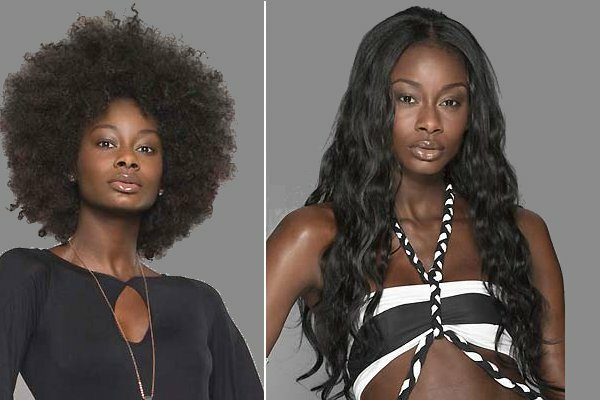 Some Black women have lashed out and started a “natural hair movement” that has gained popularity in the last decade. Many Black women are beginning to wake up to the fact that their natural hair is just as beautiful, if not even more beautiful than the fake hair they put on their heads. Weave industry is still a popular billion dollar industry that has made others rich serving this odd behavior. But finally, some Black women are waking up and growing up and learning to love themselves and embrace their natural appearance. It’s about time.